Design and deliver workshops that inspire playfulness, foster community, stimulate storytelling, and develop plays that can be shared with others. Perfect for actors, educators, healthcare providers, and recreation professionals with an interest in community-based theatre. At the end of the program, participants will have the opportunity to facilitate their own workshop, for which they will be paid, and put into practice what they have learned. 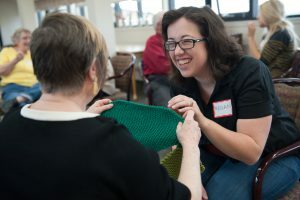 Training will have a particular reference to seniors, but our approach can be adapted for work with any community. GeriActors strives to ensure programs are accessible to all. We have a limited number of bursaries available to assist with program fees. To be considered for a bursary please submit a Letter (max 250 words) indicating your interest and experience in theatre, community arts, or senior’s recreation, and how facilitator training will benefit you and/or your community. Letters can be emailed to geriactors.friends@gmail.com by May 15. Bursaries have been made possible through the support of the University of Alberta Drama Department. Preference will be given to University of Alberta students and alumni, but available to anyone who has demonstrated an interest and ability. We are ALSO looking for organizations to host theatre workshops! We are inviting community organizations to help us host workshops in storytelling, acting and improv. All workshops will be led by training program participants, supervised by GeriActors staff. 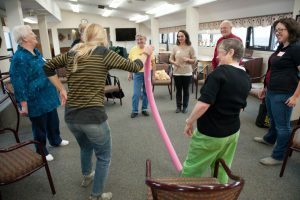 If you’ve EVER acted or NEVER acted a GeriActors workshop is the perfect place to begin. 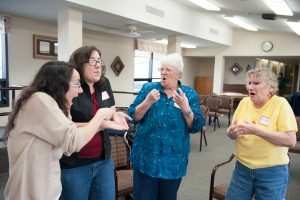 Through storytelling, theatre games, improv, laughter and fun, participants will use their imagination, and watch their memories come alive. 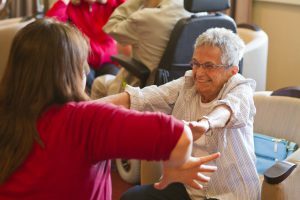 Workshops are barrier free and inclusive, with participants of all abilities and experiences. P.S. We are also very skilled at running intergenerational workshops. If this fits with your organization let us know! 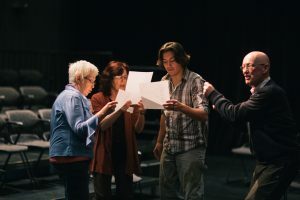 This program was made possible through the support of the University of Alberta’s Department of Drama and the University of Alberta President’s Fund for the Creative and Performing Arts.